iLuv has added a new iPod alarm clock to its range with the launch of the iLuv iMM153. The iLuv iMM153 iPod Alarm Clock comes with a built in bed shaker which is designed to get you up in the morning. It also features an FM radio and built in speakers, here are the specifications. 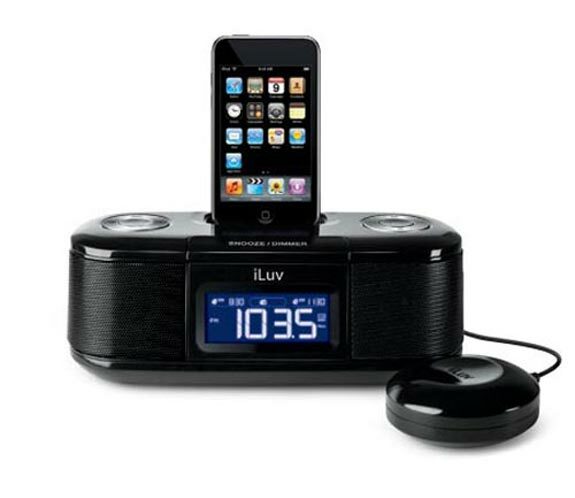 The iLuv iMM153 iPod Alarm Clock is available for $59.99 from iLuv.